This post is another in our Cafe Case Study series. We interview cafe owners to learn about the vision behind their space, the demographics of their city and then ask them a bit about the equipment they chose and why they made that decision. Use these case studies as inspiration for your own cafe dreams or simply to get a behind the scenes look at some beautiful coffee spaces around the world. Want to be featured in a future case study? Send us an email: hello@modbar.com. This case study features an interview with Steve Simonelli, partner of Schmooze Workspace and Café. 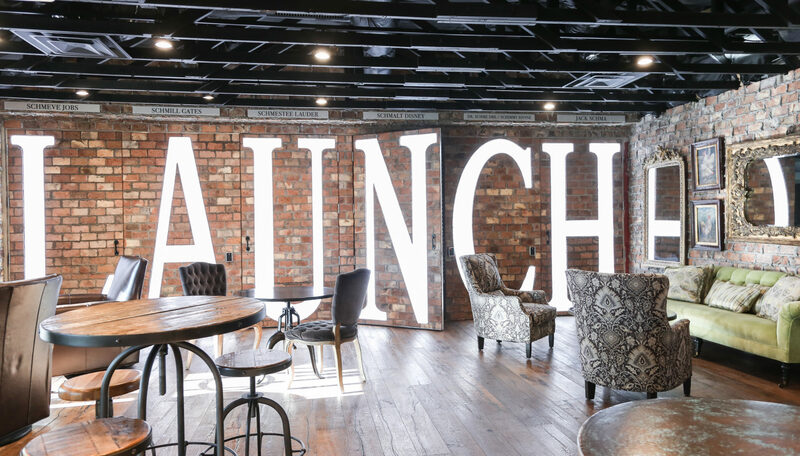 We were pretty intrigued to find out their cafe was designed from the beginning with the remote worker in mind. This can be a potentially tough customer base to cater to as they have different needs and preferences than the standard “grab and go” or “come and hang out with friends” audiences. We walk through the vision behind the space as well as how they manage various types of customers to great an experience that works for everyone. Let’s start with the community. Describe Scottsdale, its culture and the people of the city. 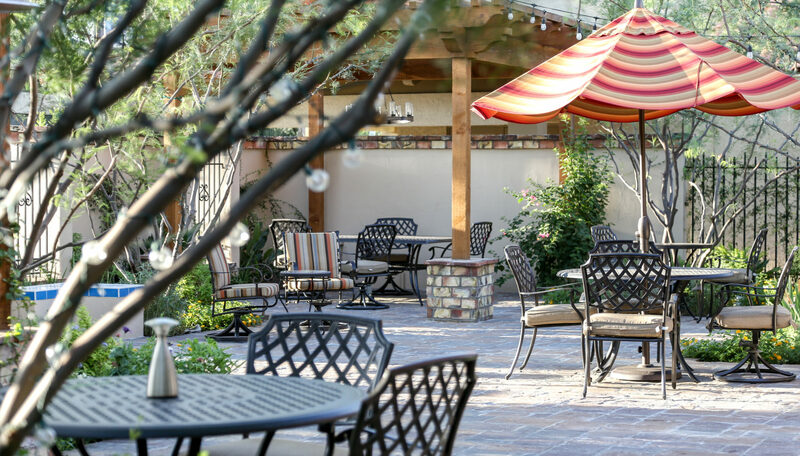 Scottsdale is a beautiful city filled with coffee shops, tech start-ups, co-working spaces, restaurants, and the arts. It’s difficult to describe Scottsdale in just a few words; it has a uniqueness which draws all types of people for a variety of reasons. The weather is moderate and picture-perfect nine months out of the year, allowing for outdoor dining and enjoyment virtually year-round. Beautiful indoor spaces provide a welcome refuge in the hot months of mid-summer. 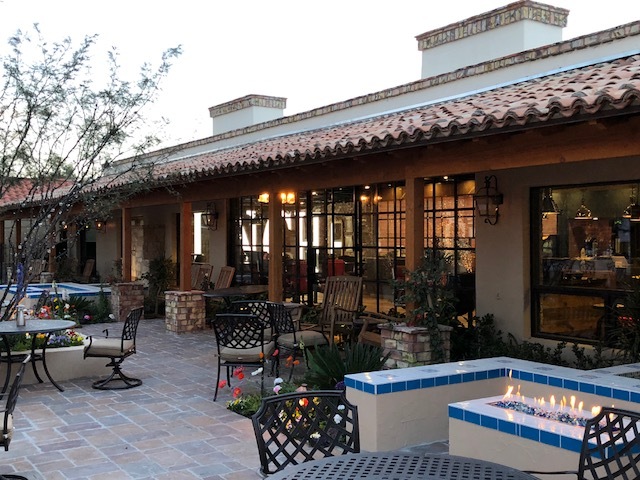 In addition to being a vacation spot, the robustness of the Scottsdale economy and the beauty of the city draws many new large tech start-ups and additional residents on a daily basis. Some say Scottsdale is the Silicon Valley of the Desert! 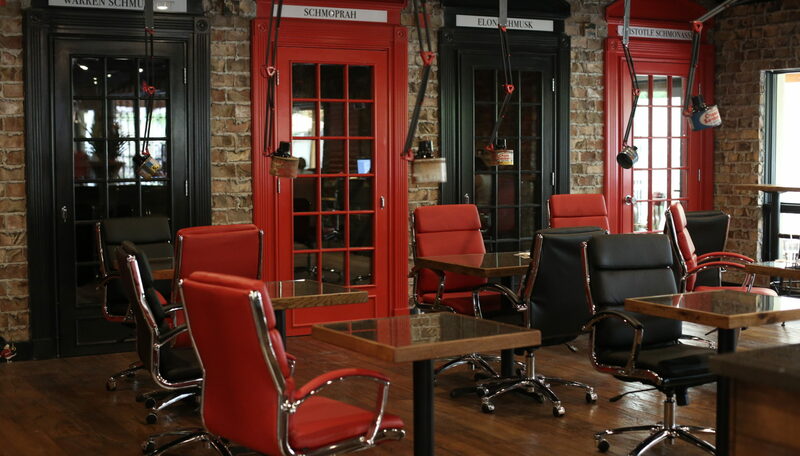 Schmooze Workspace and Café is located in the original downtown area, known as “Old Town,” right on historic Marshall Way. Old Town has kept the character of the Old West, with small storefronts and narrow streets, and has embraced the art community for generations. Many residents and tourists enjoy the Art Walk on Thursday evenings, when the galleries stay open late. Also, Old Town is home to many boutiques and some of the best and hottest restaurants in town. 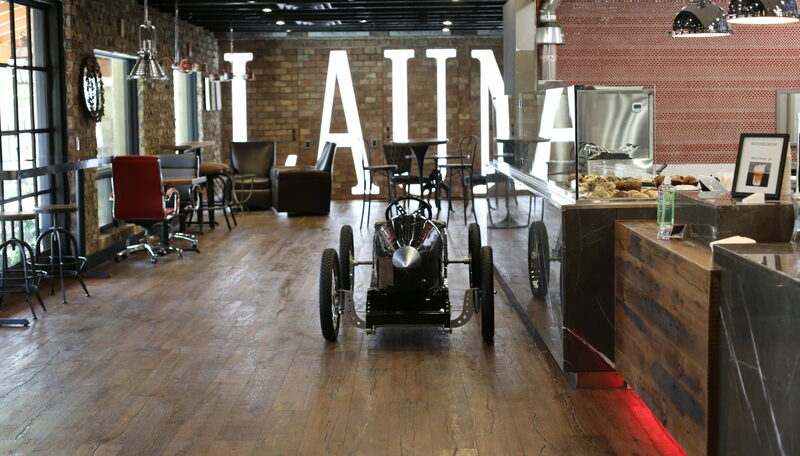 What made you want to design a cafe to appeal to the “remote worker / entrepreneur” audience? The main reason behind creating/designing Schmooze was to fulfill the vision of the owner John Vatistas, aka Johnny Schmooze, who saw a significant need for quality workspace for entrepreneurs and remote workers always on the go. More people and companies work from home or out of a coffee shop or co-working space these days, especially in Scottsdale and major cities. We designed Schmooze to fill what we saw as a low availability of pleasant, functional workspace available to the public, and to solve some of the problems that working people face daily. 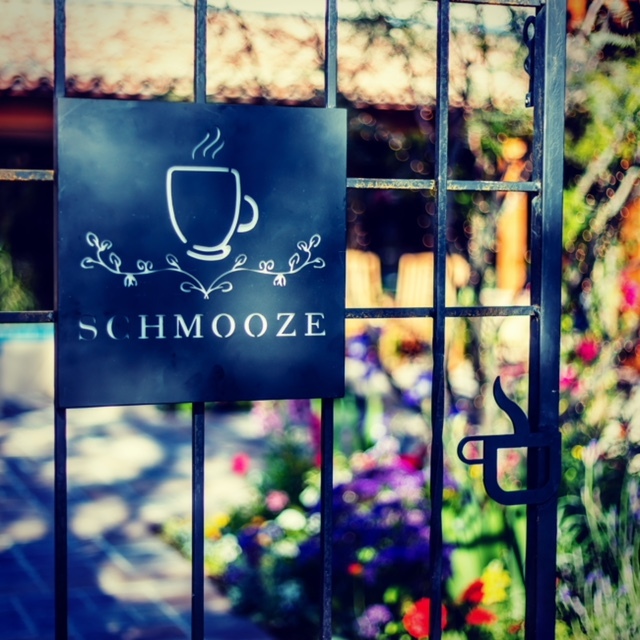 The coffee program is something in which we take great pride, and it will be an ever-evolving program, as Schmooze and its clientele continue to grow. We are a multi-roaster café and as such we are always trying new roasts and building relationships with not only local roasters, but roasters around the world. 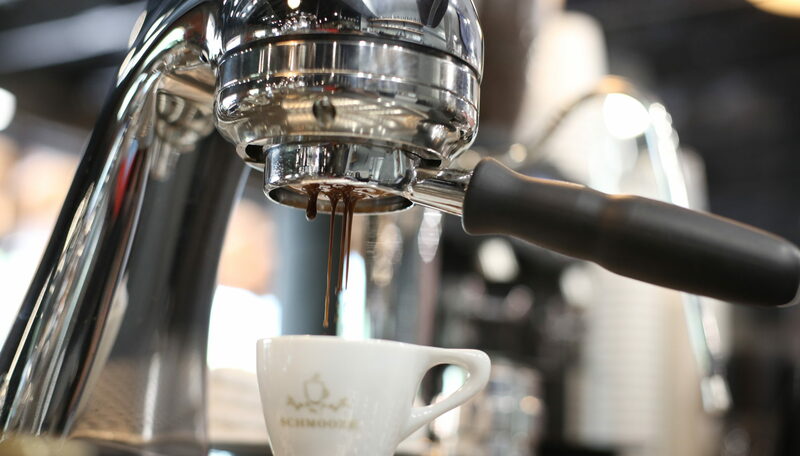 We like to have a crowd pleaser in one of our Mahlkonig hoppers and, in the other, we rotate and feature espressos that really pack a flavor punch! My personal favorite is our Ethiopian Espresso that currently has strong flavor notes of strawberry. I can honestly smell it across the room when they are grinding the beans! It is the perfect summer shot for those Iced Americanos on those HOT Arizona days when an iced drink is a must. What was your vision for the coffee program? How did you choose the equipment, bar flow, and roaster? Admittedly, we had a lot to learn about coffee when we started out. 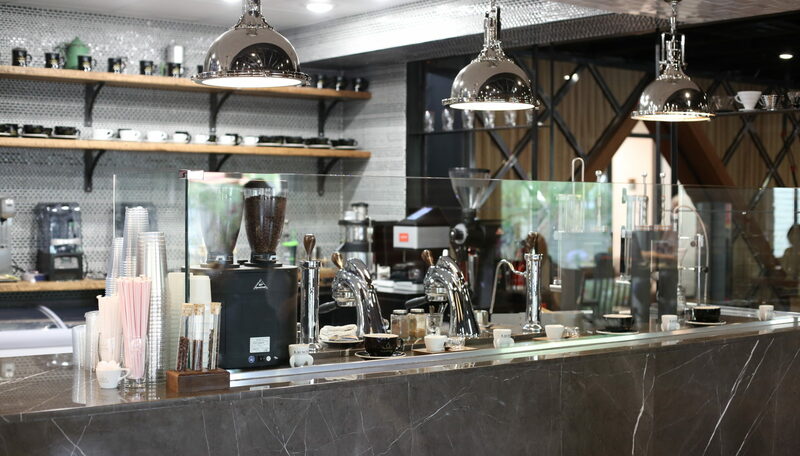 After being an avid coffee drinker for the past 17 years and being content going to conveniently-located coffee shops, I had the impression that the business of coffee itself would be a piece of cake. I quickly gained a new appreciation for professional baristas! After educating myself a bit about espresso equipment, coffee making, and latte art, I realized how much I had to learn – and signed up to attend classes at the International Barista and Coffee Academy. I knew that for us to be successful, I needed to make sure we put out the most consistent and best product for our soon-to-be Schmoozers, and this required training I didn’t have. We chose Modbar because the look and customer experience components were right on for our brand, and it really opened our eyes to what a well-designed coffee program could be. Great coffee is truly an art. What design features did you put in place to really make this feel like a “second office” for them? We designed Schmooze keeping in mind the combination of practical working needs, like fast internet, plenty of outlets, and private space, with a comfortable and inviting environment that includes great food and drink from coffee to craft cocktails. Customers can work inside the café or outside in our gardens and patio, where they are surrounded by three large fountains. There are plug-ins galore throughout, for USB devices and computer chargers. We installed fiber-optic Wi-Fi in order to provide all of our guests an uninterrupted secure network. 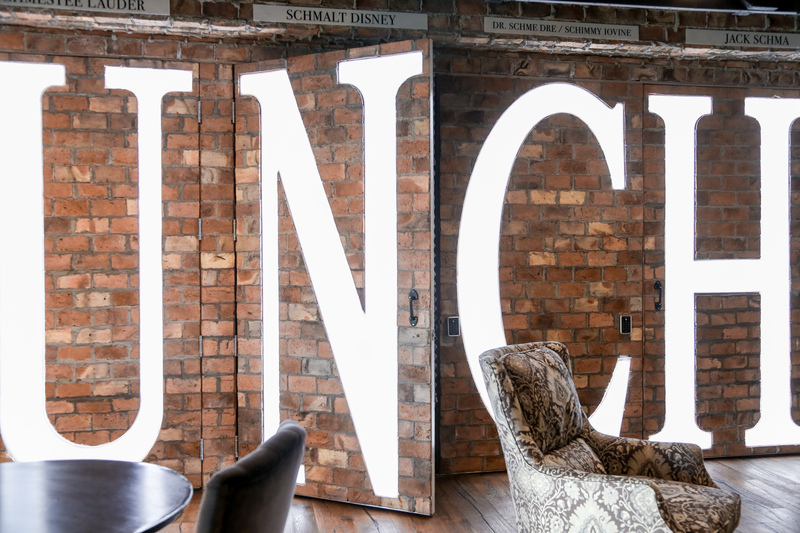 We have five individual sound-proof offices resembling London Phone booths, a wide array of glass-topped tables, and antique coffee cans hanging from the ceiling with plug-ins and USB outlets. All of the surfaces in Schmooze are designed to accommodate dry erase markers, for those brilliant ideas that pop into your head unexpectedly: no need to grab a napkin to capture your inspiration (just don’t forget to take a picture of your work before you leave). We also built two very large offices, hidden behind a heavily-mortared brick wall, for privacy and sound control. 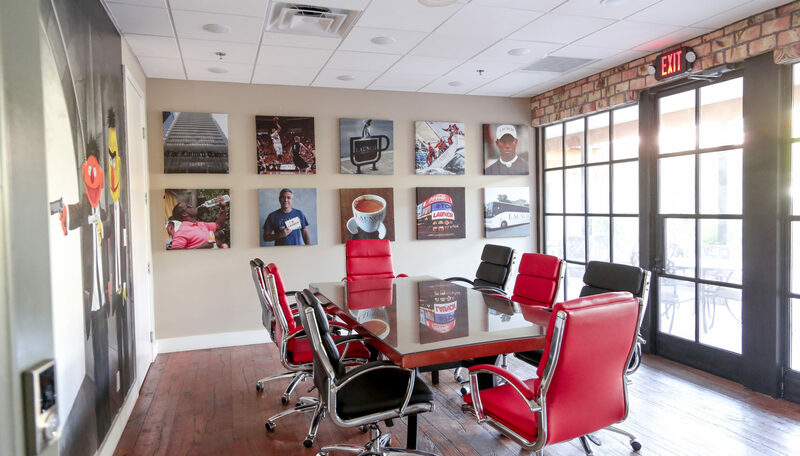 Last but not least, we built three conference rooms in the back, for when you need a larger area for a meeting or presentation. How do you balance this audience with your other customers, the general community and the coffee? As of now we have a well-functioning dynamic of working professionals, tourists, coffee drinkers, and patrons wanting a quick breakfast / lunch in a pleasing environment. It was a big concern, when we first opened, that we would not be able to maintain a quiet work environment, in parallel with people coming in for coffee, food and just to explore our facilities. Our concerns turned out to be unnecessary. So far, our customers totally respect each other’s privacy, and the noise level has never been a problem, perhaps in part because we built in so many features to help spread out people based on what they are there to get done. What tips do you have for other cafes who have a large “remote worker” audience base? The tips that I have can be given not only at cafés, but to any industry which provides services to the public. 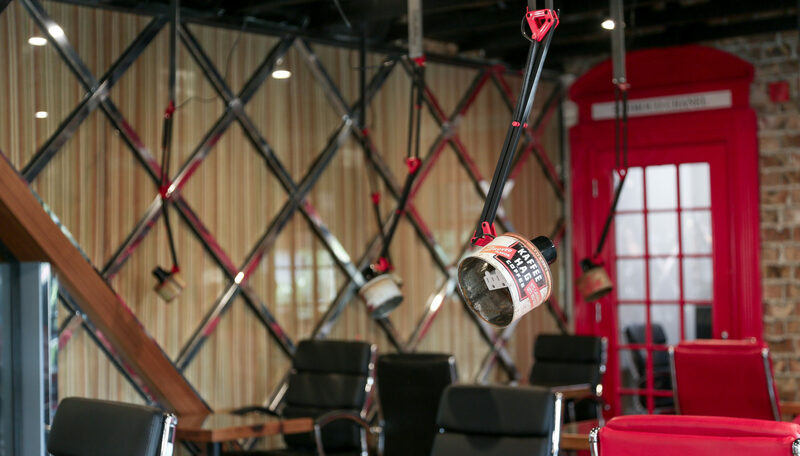 Provide a comfortable environment, create a pleasant ambiance, and dedicate yourself to five-star customer service. These efforts will keep your customers happy and coming back to you for more! Interested in connecting with the Schmooze team to dig a little deeper? © 2018 Modbar. All rights reserved. Made by States of Matter & Needmore Designs.